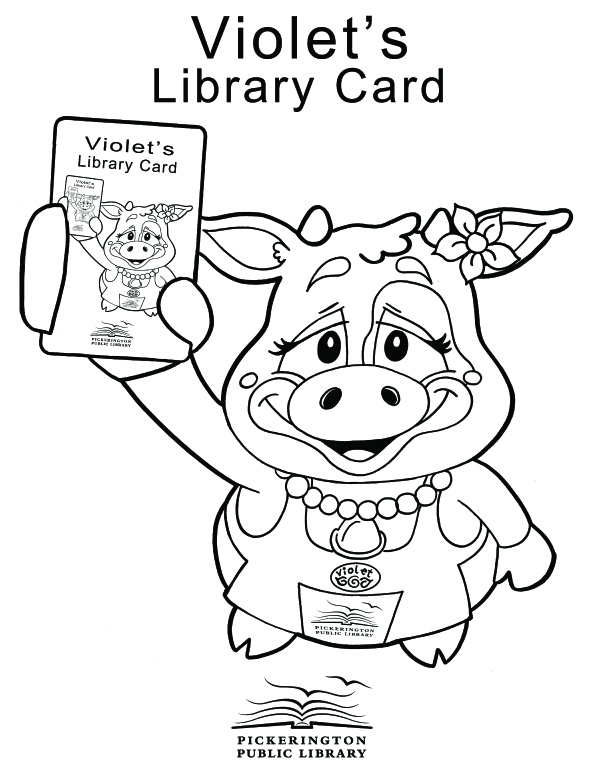 The Incredible Back to School Supply: Your Library Card! 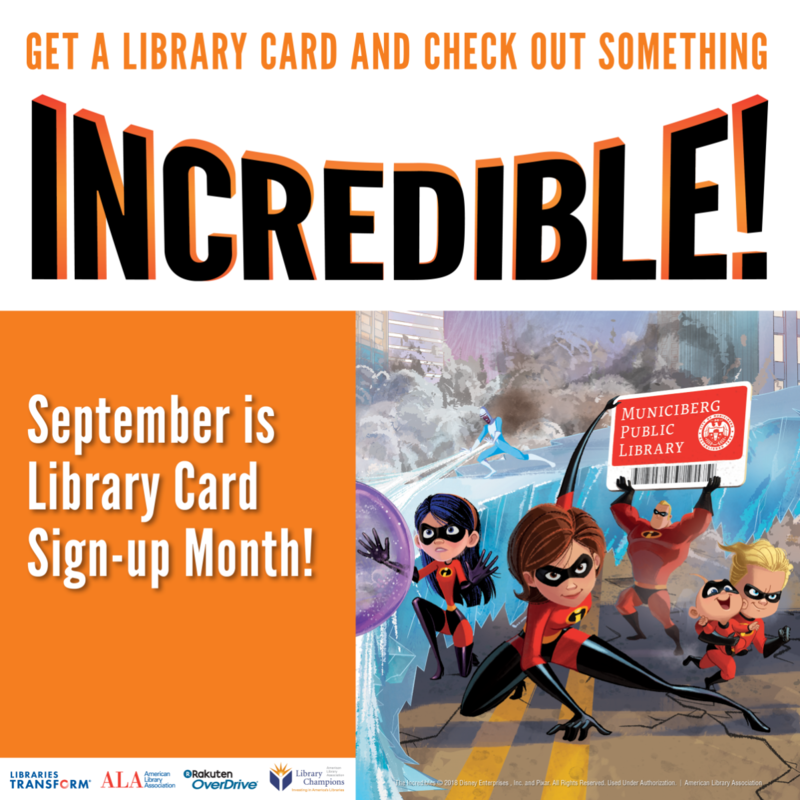 Make sure everyone in your family has a library card this month: it is free to sign up, at any age, and throughout the month of September, we are offering FREE replacement cards to all customers who need to replace their cards – that way, you can get right back to reading, downloading, and borrowing materials. Find reading and literacy resources for all ages at your library, from board books, to graphic novels, to e-books and digital audiobooks through our e-library. Online, we are open all day, every day! Student Cards: Students under the age of 18 can sign up for a card that offers access to print materials, research resources, and library computers. Teacher Cards: Are you an educator? Sign up for a card so that you can check out materials for your students throughout the semester! Corporate Cards: Does your business need to use the library’s Meeting and Conference Rooms or one of our professional development resources, like Lynda.com? Ask us about our Corporate Cards, for meeting room use and business database access. 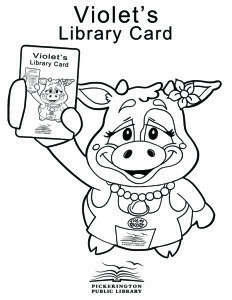 Sign up for a Pickerington Public Library card online! Discover what your library saves you: check out the Library Use Calculator! PLUS! In honor of National Library Card Sign-up Month, we are offering a book giveaway to one lucky reader! Meet us along the Labor Day Parade route on Monday, September 3: during the parade, we will be passing out bookmarks, and when you turn in that bookmark at any location during the month of September, we will enter you into a drawing for a FREE tote bag full of books! The campaign started in 1987 as a response to then Secretary of Education William Bennett, who stated, “Let’s have a campaign … Every child should obtain a library card and use it.” Learn more in a blog post on the history of National Library Card Sign-up Month, available here from the American Library Association Archives.